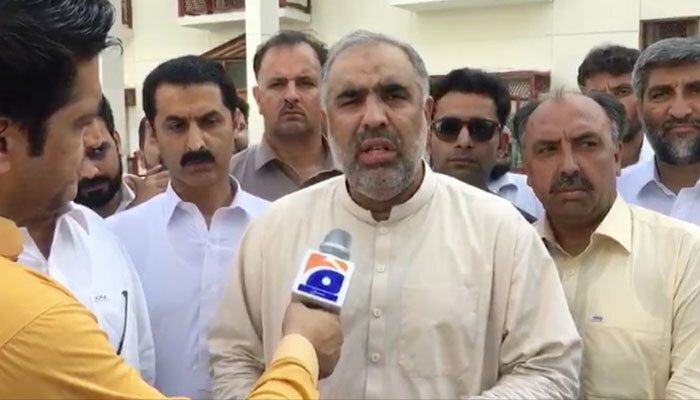 ISLAMABAD: National Assembly Speaker nominee of Pakistan Tehreek-e-Insaf, Asad Qaiser stated on Friday that he would not only focus on performing his duty well but would also take everyone along. In conversation with Geo News, Qaiser stated he would work hard to ensure that a cooperative environment is sustained where everyone is given their civil liberties. The PTI leader also remarked that he along with Pervez Khattak had fulfilled their responsibilities well while governing Khyber Pakhtunkhwa and anticipates that he will do so in the future as well. Former speaker of the KP Assembly stated that taking into consideration their performance in the KP Assembly, they hope for the party to do better in the central government. “I have been with Imran Khan since the past 22 years and I am grateful for the trust he showed in me. We have been with Imran Khan because of a vision and ideology, and not for a designation. Whatever he has decided I would attempt to fulfill the obligation,” he stated. Furthermore, he also added that for the sake of the country, the party will be willing to take everyone along and setting precedence.